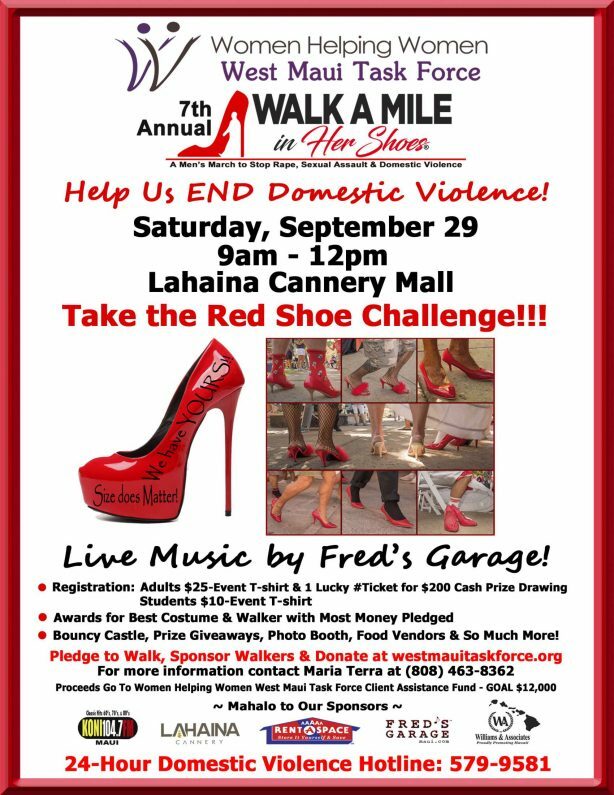 This event is organized by the West Maui Task Force (westmauitaskforce.org) with proceeds benefiting Women Helping Women. To learn more and register for this event, please visit their website. Please spread the word about this year’s Walk a Mile in Her Shoes to all your friends, relatives, neighbors, coworkers and more!